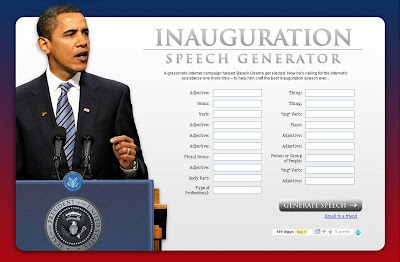 Obama Inauguration speech generator - make your own Obama speech! Why settle for Barack Obama's actual Inauguration speech? Make your own with the Inauguration Speech Generator!